Weeks can go by without turning on the radio or popping in earbuds at our house. We do listen to music, but my kids are making it and it’s lovely. I could stand cooking in the kitchen all day listening to them play music on their various instruments. 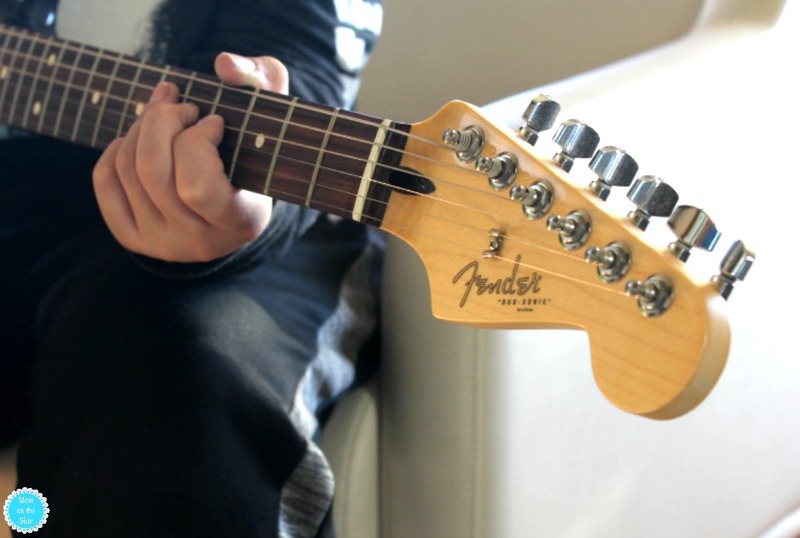 Lately, it’s the mellow sounds of the flute and the strumming of a Fender as my son continues to learn to play guitar at home with Fender Play. 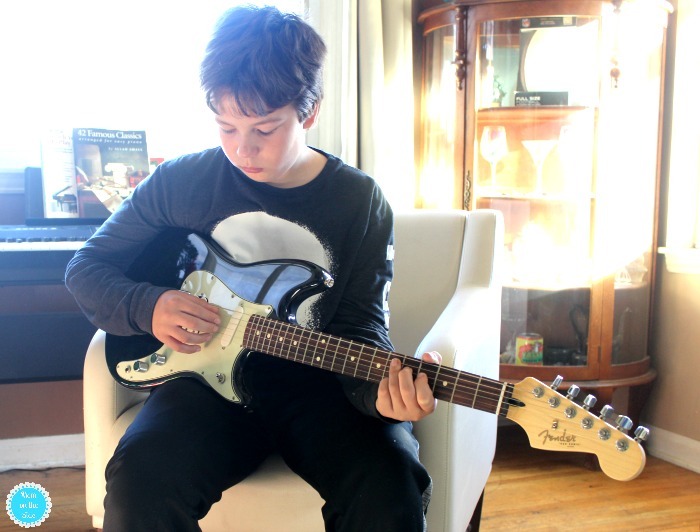 He’s not just learning to play though, he’s also growing a love for music with Fender Play! You may remember that my son started playing guitar a few years ago in elementary school. He’d never played an instrument before but when sign-ups for before school guitar lessons opened up he put his name on the list. He went to practice once a week for two school years and enjoyed the concerts they put on. When it came time to test instruments for the junior high band he was matched with a clarinet and wasn’t thrilled. He’s now three months into playing clarinet and played Mary Had a Little Lamb for us the other night. He was so proud and looked confident playing. A confidence Fender Play has helped him find more of in himself. I think part of that is because Fender Play is fun and song-based, with a curriculum he customized with his individual musical preferences. He’s learning to play guitar at home with songs he loves and it breaks them down to the basics first, which keeps him from getting discouraged with his abilities. It’s your path to Play. He’s not just growing a love for music with Fender Play. He’s also growing as a person. Kids who learn guitar do well socially – they’re more confident, develop coordination and math skills, concentration and more. I’m seeing positive changes in my son as he’s found a new love and gets better at it. He’s trying new things, making new friends, excelling in his junior high classes, and teachers had nothing but praise during conferences last month. 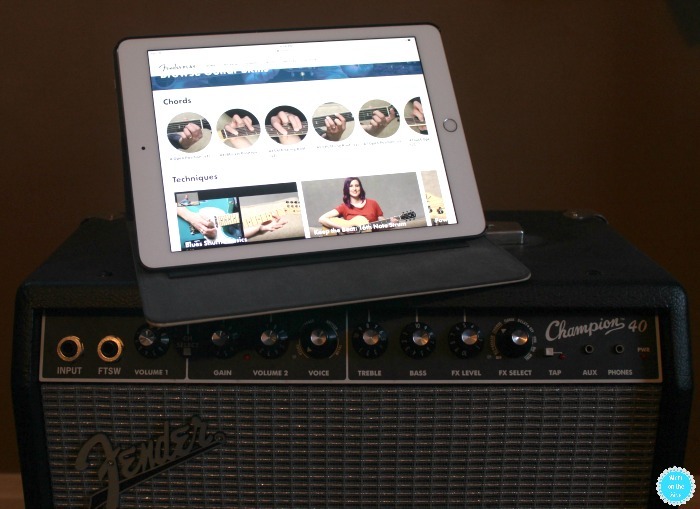 If your child has been asking to learn to play guitar or is interested in finding new hobbies, Fender Play is a great way to learn guitar because it’s created by curriculum experts and the leading guitar brand. Thanks to Fender, 15 lucky people are going to WIN a Fender Guitar Squier® Strat® Pack! My son would love to learn how to play the guitar. This would be awesome for him!